20th of August, Johor Bahru,Evening – Singapore father left his vehicle unattended with his seven year old son alone in the car. He assumed that it would be safe to leave the car with his son inside a short period of time while he went to buy something. The father told the son to lock the car door while he is away. Driving a Singapore BMW car into johor is like begging to get rob. Unfortunately, moments after the father left the vehicle. A car thief broke in, and drove the car away with the boy in it!! The father returned panic and started searching for the boy and car. After searching for over 6 hours, the father managed to find the boy down the road. 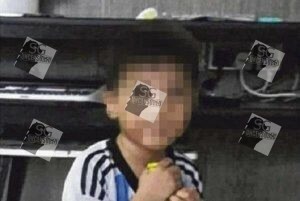 This occurrence was posted onto online networking by a Malaysian companion and following an on edge 6 hour hold up, they got a call saying the kid was located in regards to 5 km away. The kid was unhurt in the occurrence. The police have yet to capture the culprits and the stolen auto is as yet absent. Next Article Another Yishun Cat Killer. Cat Thrown From HDB.